In this chapter, we present the scenario approach, an innovative technology for solving convex optimization problems with an infinite number of constraints. This technology relies on random sampling of constraints, and provides a powerful means for solving a variety of design problems in systems and control. Specifically, the virtues of this approach are here illustrated by focusing on optimal control design in presence of input saturation constraints. 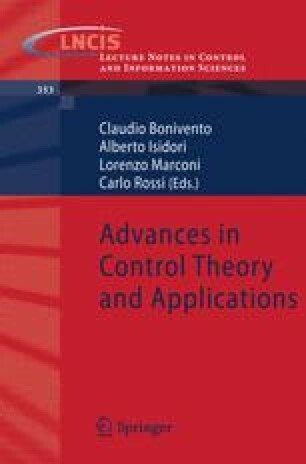 This work is supported by MIUR (Ministero dell’Istruzione, dell’Universita’ e della Ricerca) under the project New methods for Identification and Adaptive Control for Industrial Systems.